Google Glass is said to be the next big thing, so is it at all surprising that a few knockoffs competitors are springing up as well? The next company to jump into the augmented reality headset game is Nissan, and they're bringing a mysterious concept to the Tokyo Motor Show called 3E. 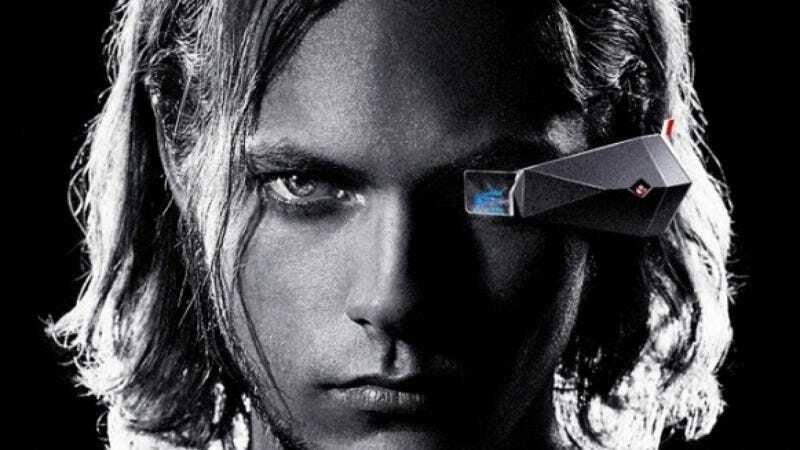 Here's what we know about 3E so far, according to Car and Driver: it stands for Third Eye, it's attached to a clunky headset, and it goes over your left eye instead of your right like Google Glass. (Potentially you could wear both, I suppose, but I would advise against this.) It also makes you look like that fellow above, whom I call Terminator Kurt Cobain. Beyond that, we really don't know much yet about what 3E can do. Nissan released this teaser video that's heavy on vague, black and white imagery of a muscular guy contorting in pain and light on details. Nissan did debut their Concept Watch at Frankfurt this year, which reads your biometric data to enhance your driving experience, so it's not a leap to think the 3E could be a kind of driver-centric Google Glass. It's an interesting concept, and certainly one that automakers were bound to look into at some point. But if Nissan puts it into production, they could run in to legal hurdles. The UK has already banned Google Glass while driving, and police in the U.S. have also been known to ticket drivers who wear the headset. Is This the First Google Glass Traffic Ticket?